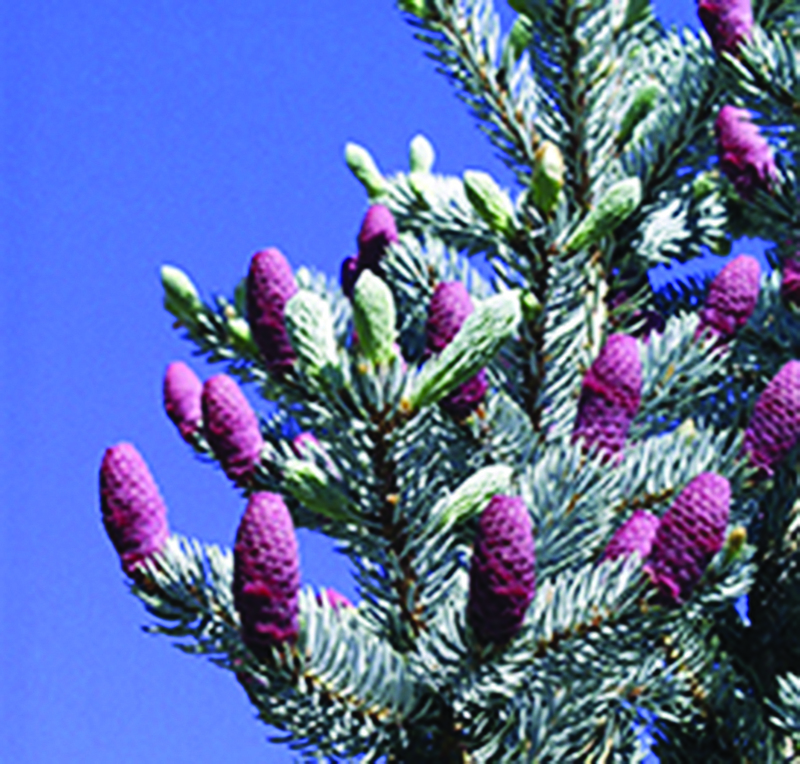 Conifers, they may all look alike, but they have interesting differences! 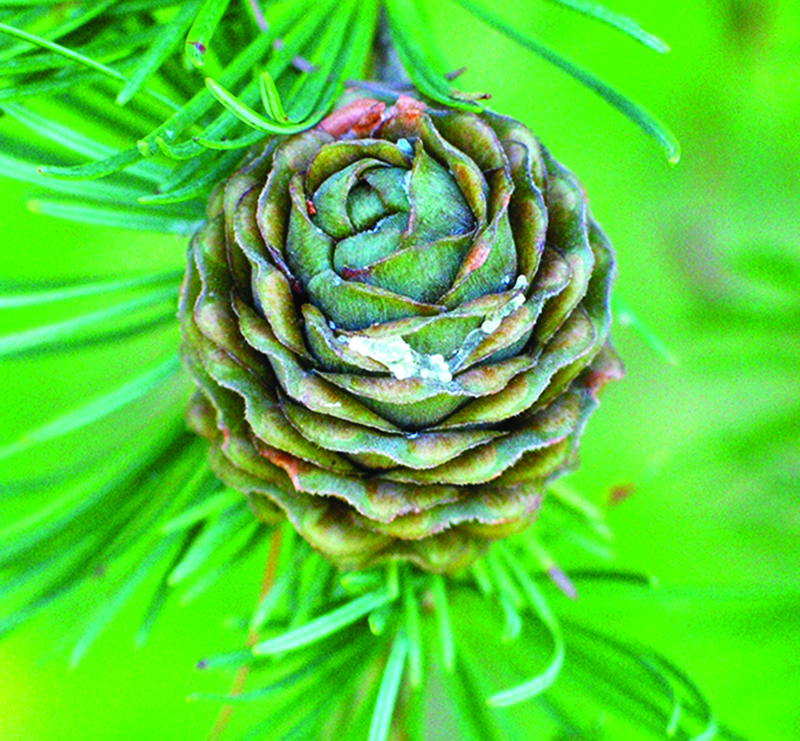 Nature’s Notebook includes three different types of conifer species: evergreen conifers that have single or clustered needles; the pines, which bundle their needles and wrap the base of the clustered needles with a sheath of tiny overlapping papery scales; and deciduous species—that's right, not all conifers are evergreen! 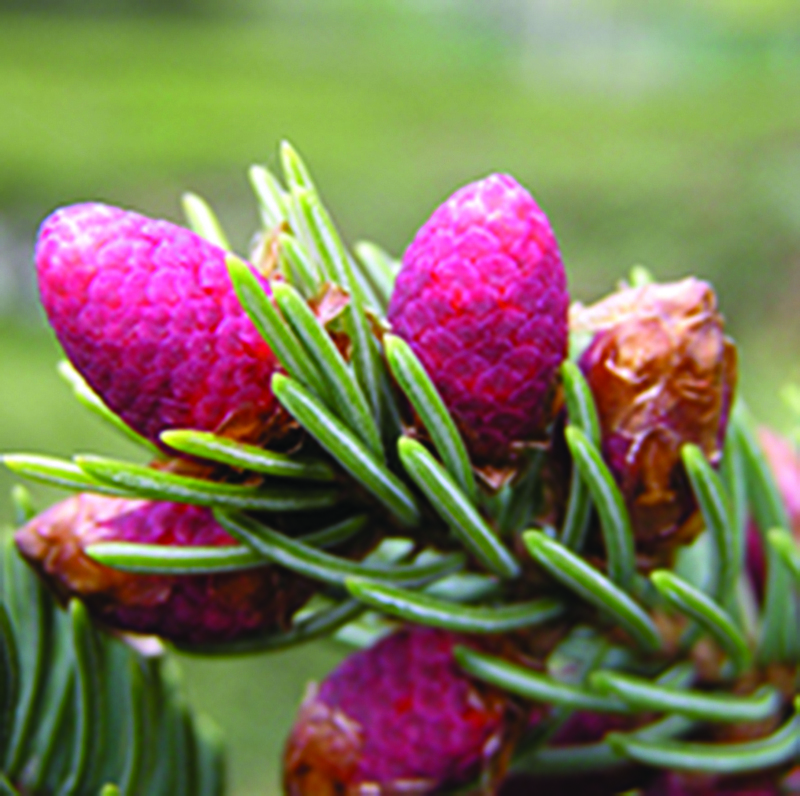 Three different types of phases are covered for Nature’s Notebook conifers: observing for new needles and their development, new pollen cones and their development, and new and developing and ripening seed cones. 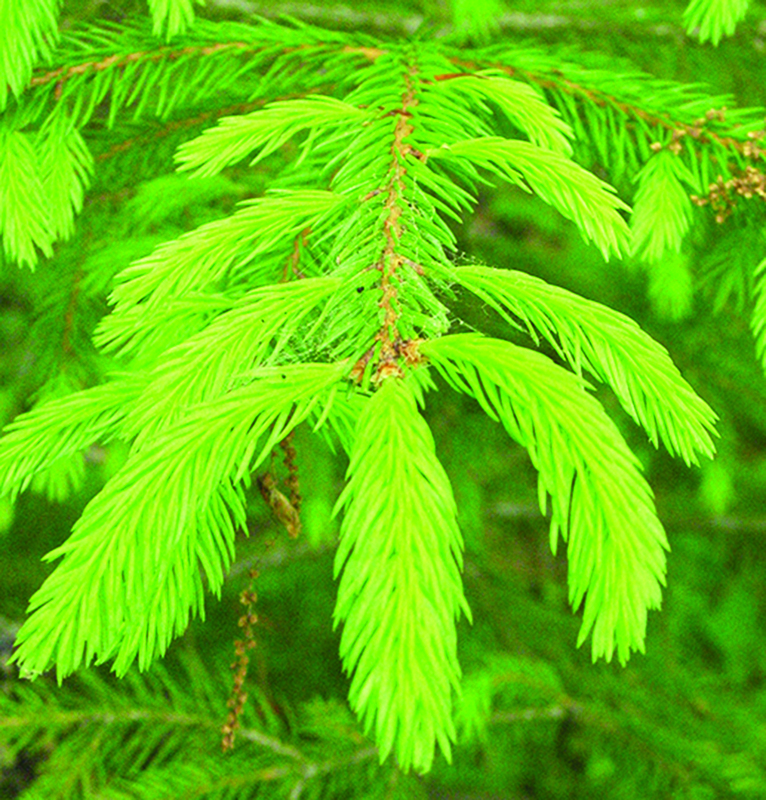 Conifers that retain their needles over the winter months continue to photosynthesize and grow, but the growth is so slow as to not be noticeable. 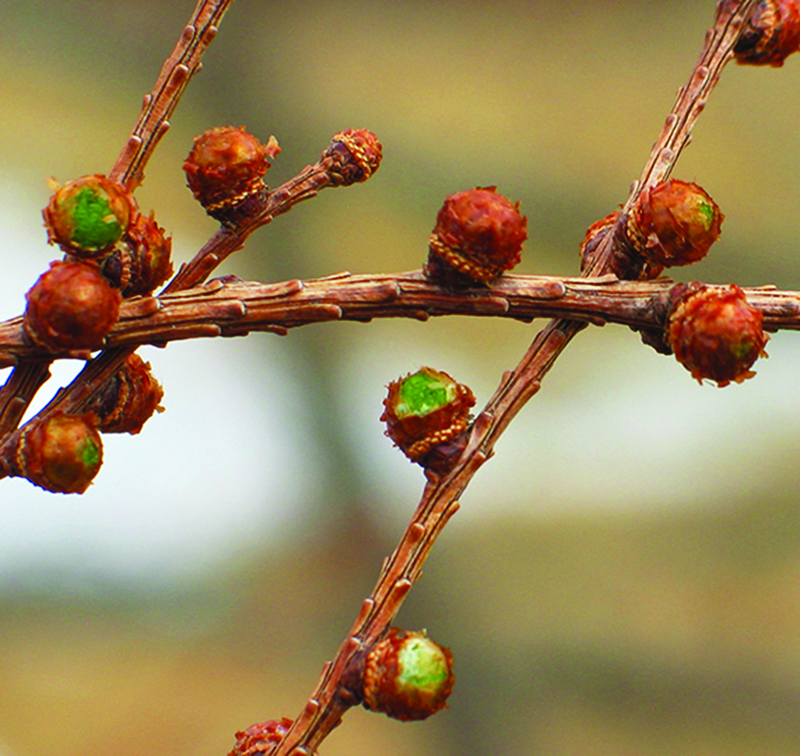 The activities we observe, and record phenophase observations for, are very noticeable and can occur relatively quickly. 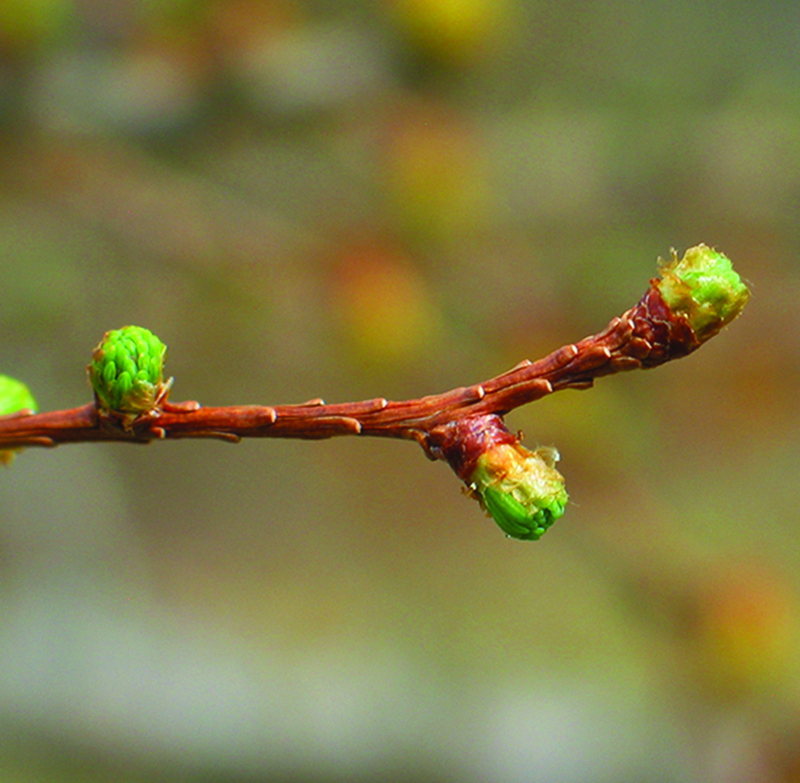 The timing of these phenophases can overlap depending on the species being observed. 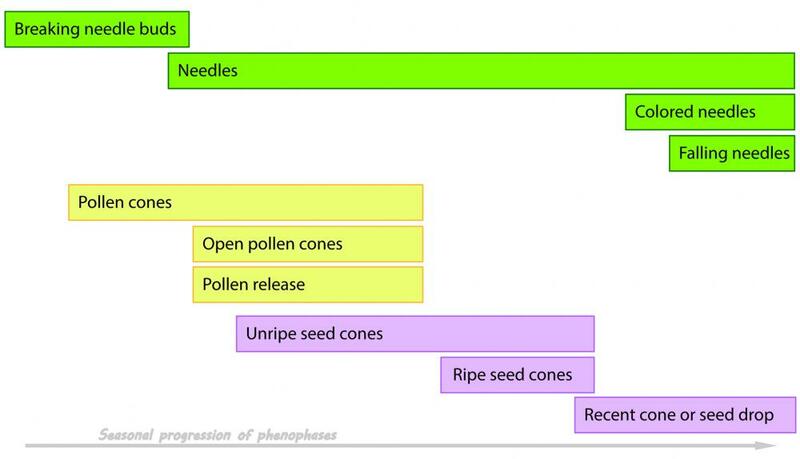 The phenophase timelines that we include here give a general glimpse at how a species might progress during their busiest growth periods of the year. 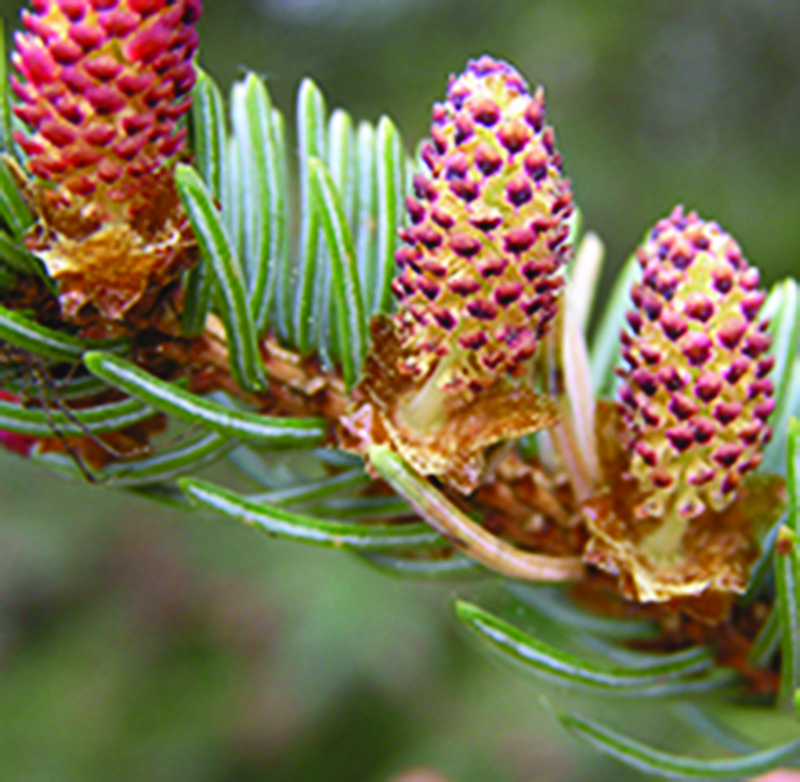 In this Nugget our intention is to give a quick overview of conifers for those observers that might have considered recording observations on conifers, but feel unfamiliar with their annual patterns and phenophases. 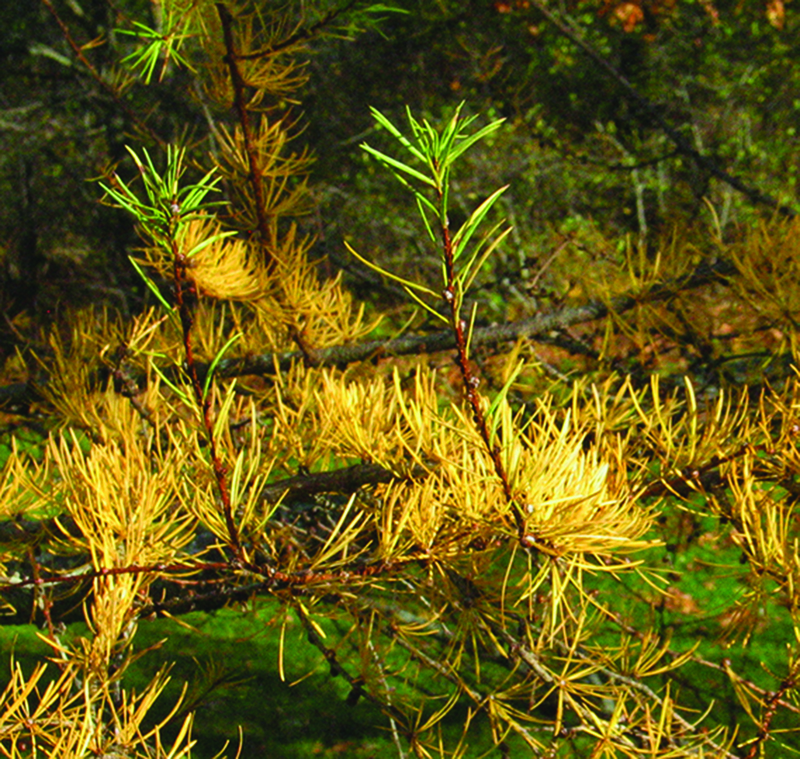 An overview of the phenophases for evergreen conifer species included in Nature’s Notebook with single or clustered needles (such as spruces, firs, hemlocks, but not pines). 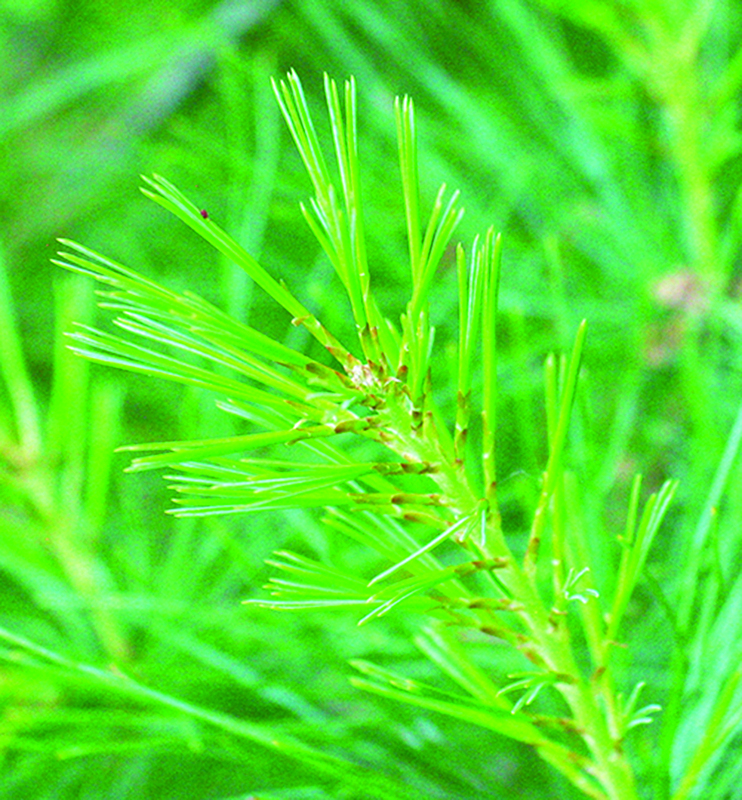 For these species, we ask you to record when the needle buds break open, and when young needles are present on the tree. 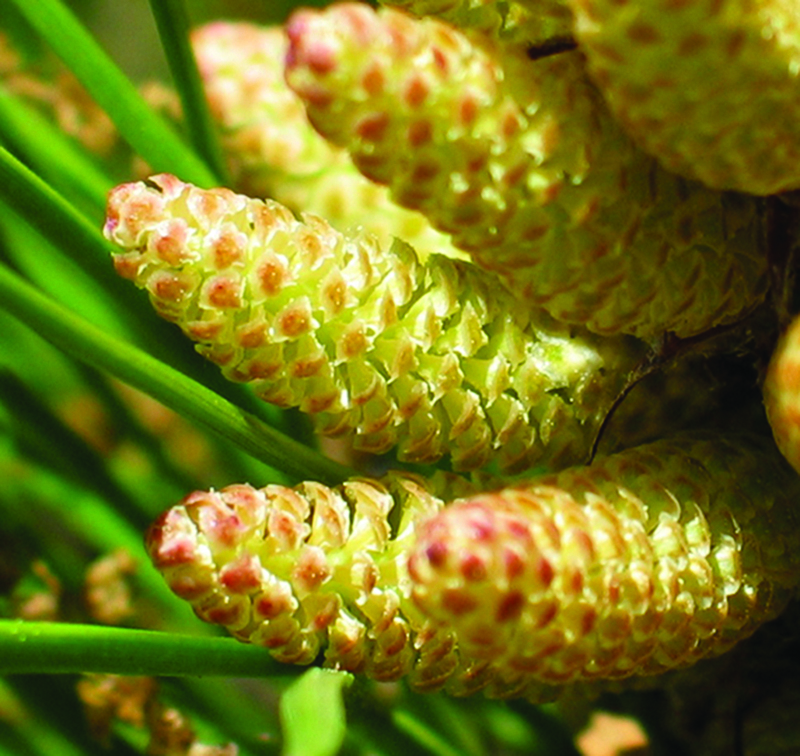 You record the presence of new and developing pollen cones, when those cones open and release their pollen. 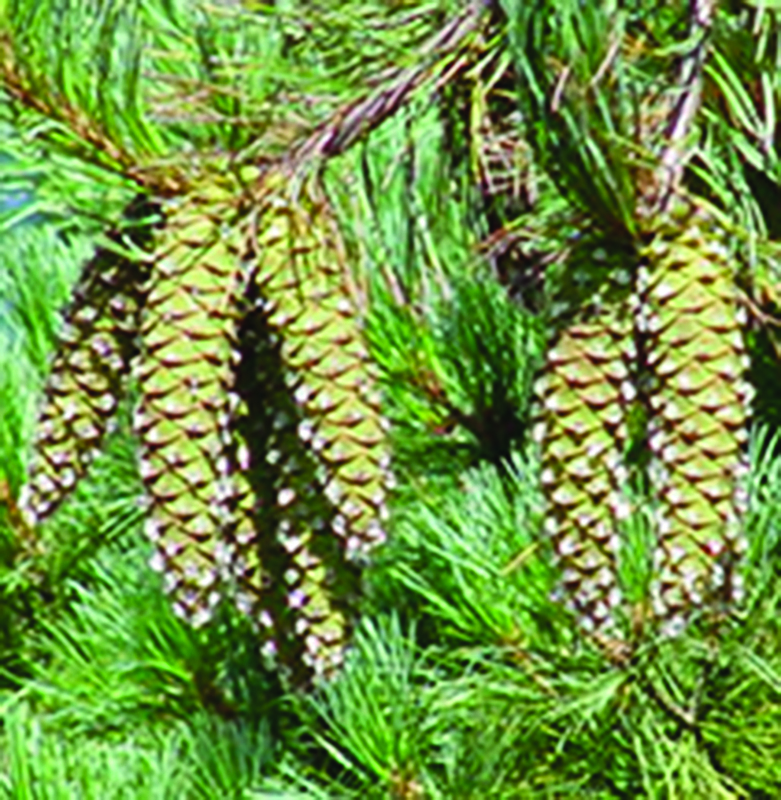 You also record the presence of new and developing, unripe seed cones on the tree, when the cones become ripe, and when seeds or whole cones are dropping from the tree. 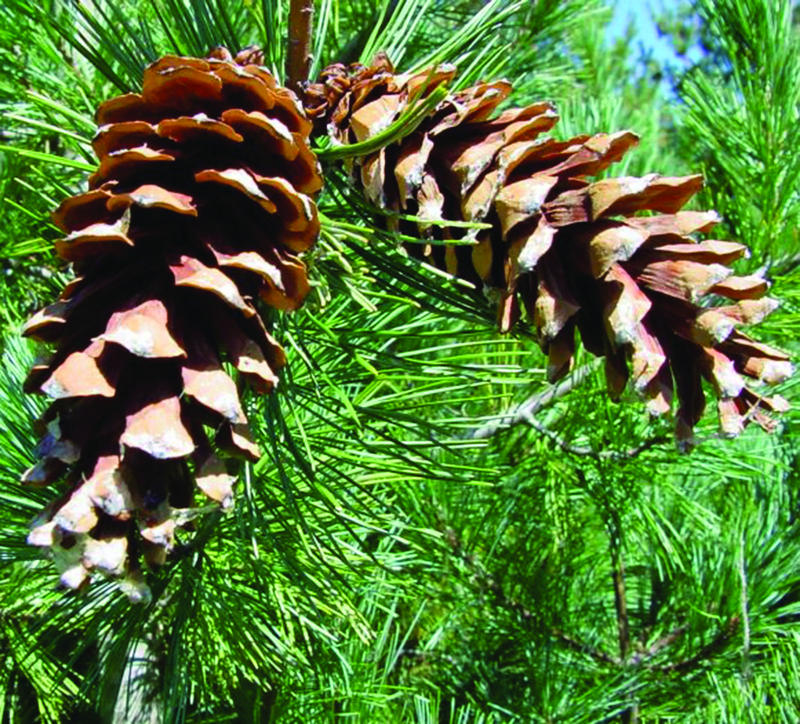 Depending on the species, you might see several generations of seed cones on the tree at the same time as they may require several seasons to ripen after being initiated, pollinated and fertilized. 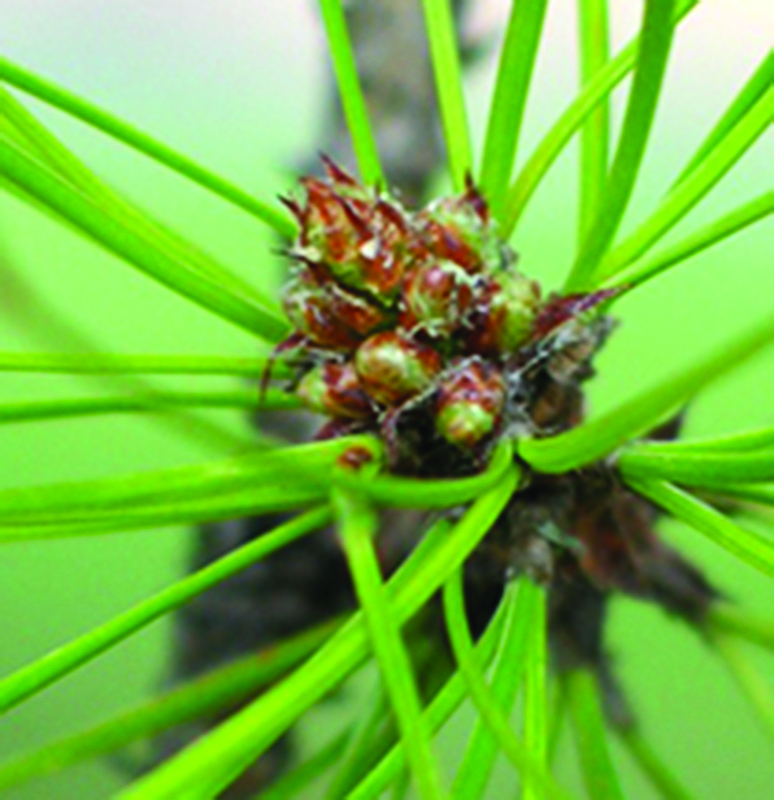 An overview of the phenophases for pine species included in Nature’s Notebook. 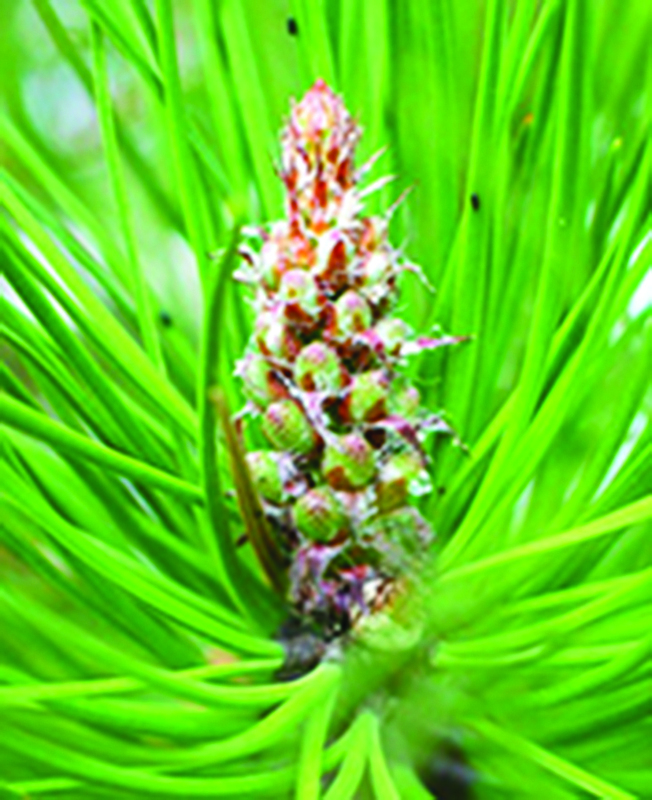 For the pines, we ask you to record the presence of new and developing pollen cones, when those cones open and release their pollen. 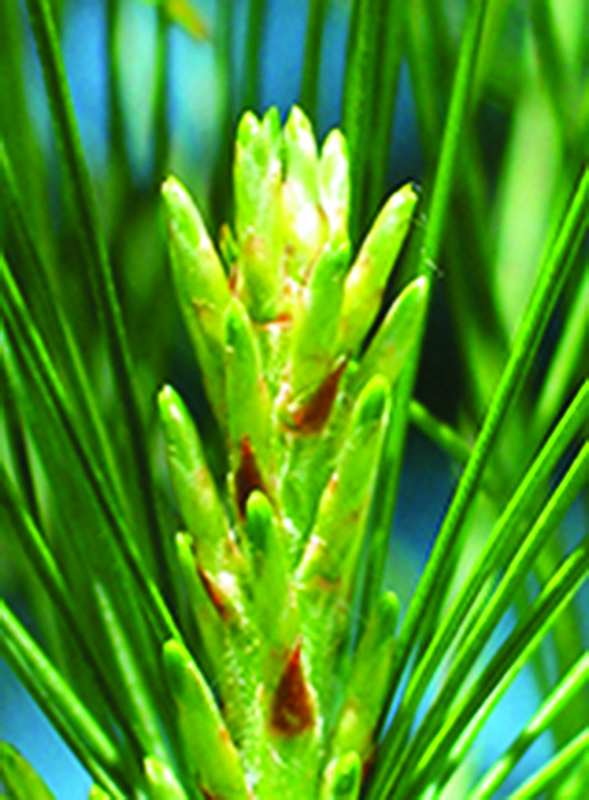 We ask you to record when the new needles emerge, and when young needles are present on the tree. 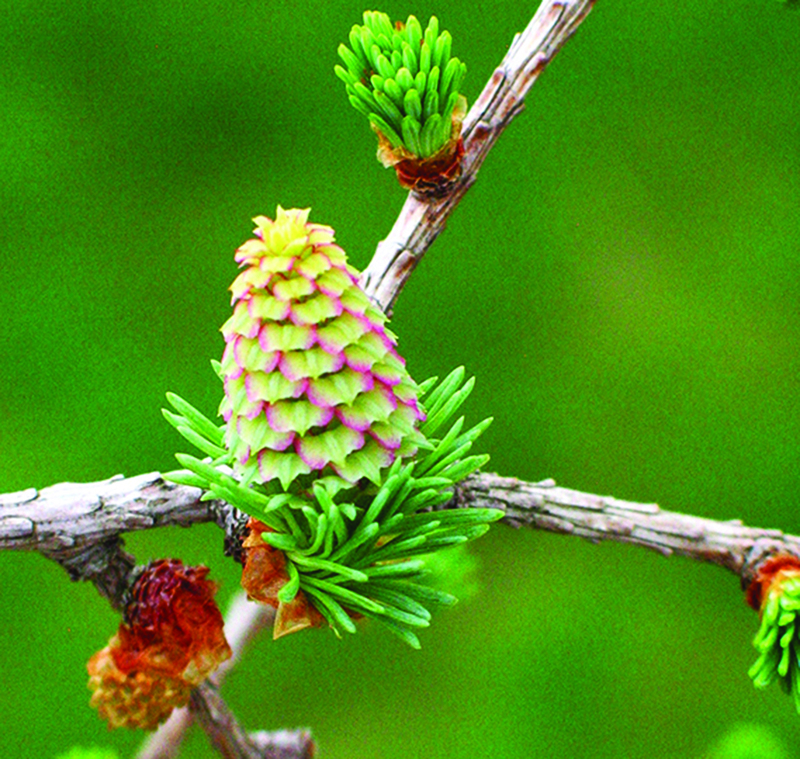 And, we ask you to record the presence of new and developing, unripe seed cones on the tree, when the cones become ripe, and when seeds or cones are dropping from the tree. 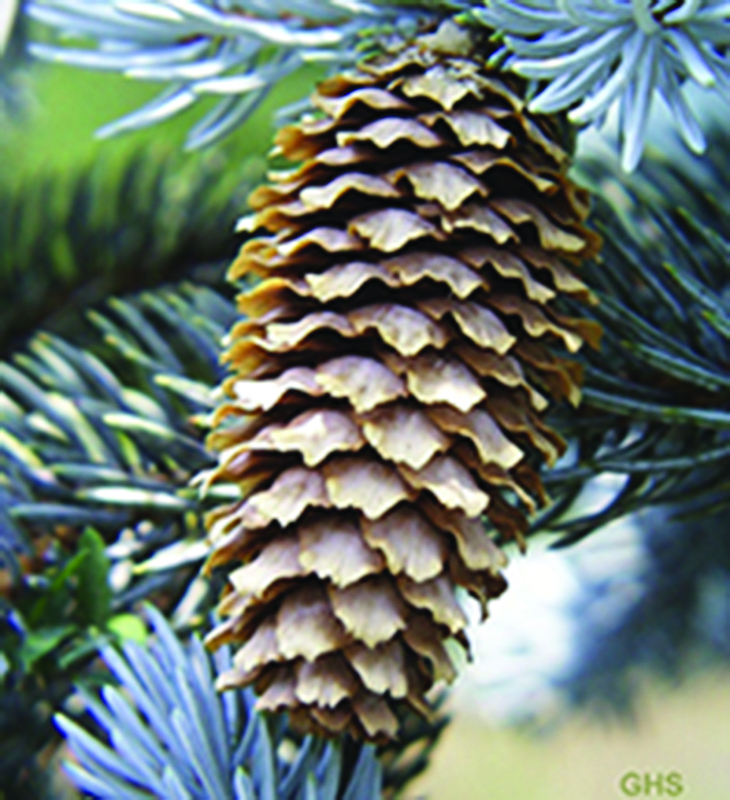 Depending on the species, you might see several generations of seed cones on the tree at the same time as they may require several seasons to ripen after being initiated, pollinated and fertilized. 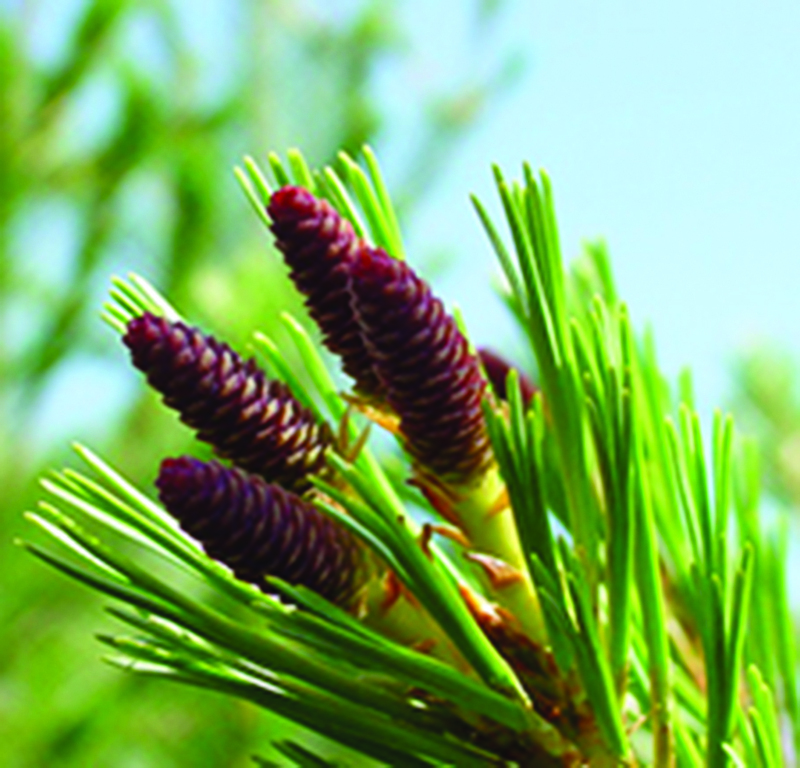 An overview of the phenophases for deciduous conifer species included in Nature’s Notebook. 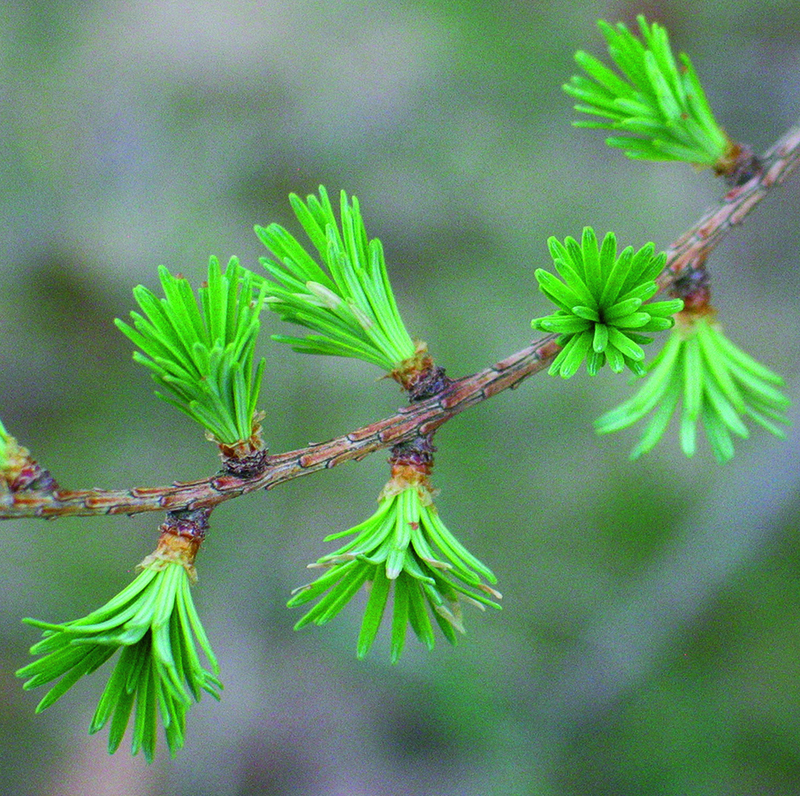 For those conifers that change needle color in the fall and then drop all of their needles, such as tamarack and bald cypress, we ask you to record when the needle buds break open, and when needles are present on the tree, when color change is observed, and when needles begin and continue to fall. 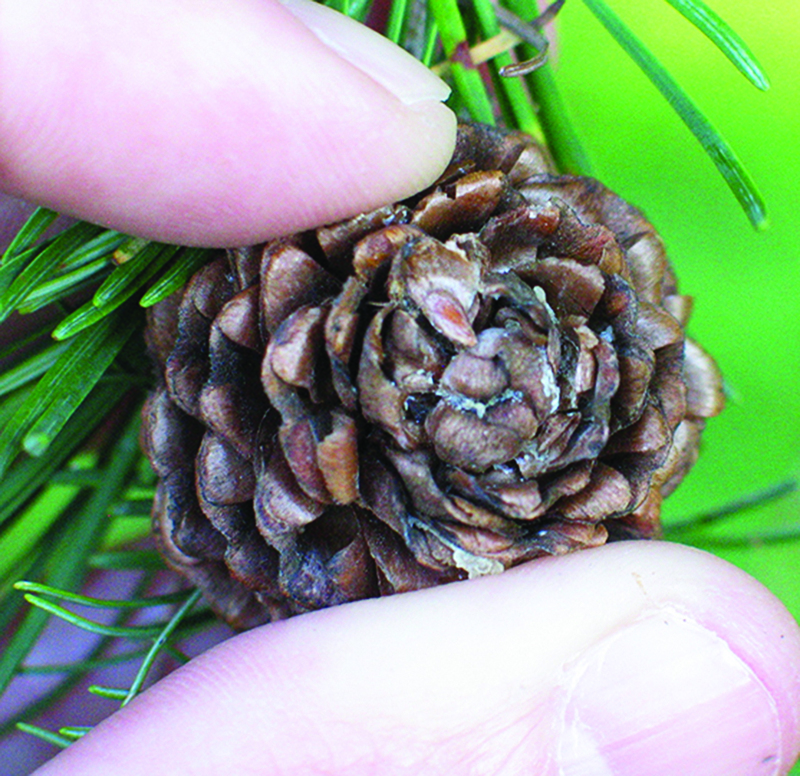 You record the presence of new and developing pollen cones, when those cones open and release their pollen. 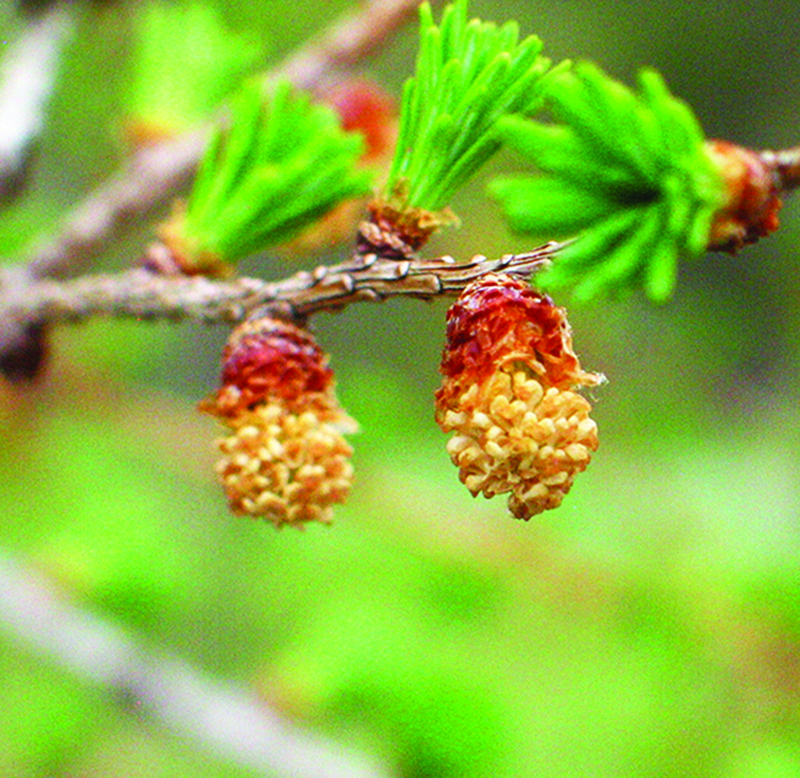 And you record the presence of new and developing, unripe seed cones on the tree, when the cones become ripe, and when seeds or cones are dropping from the tree. 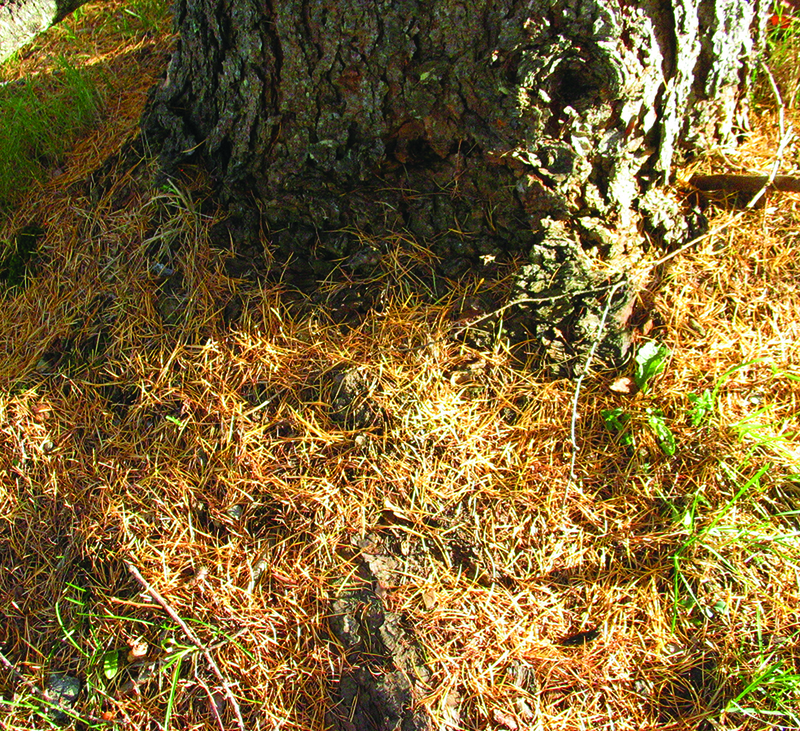 We are grateful for all of our Nature’s Notebook observers—and your vigilant and persistent observations! 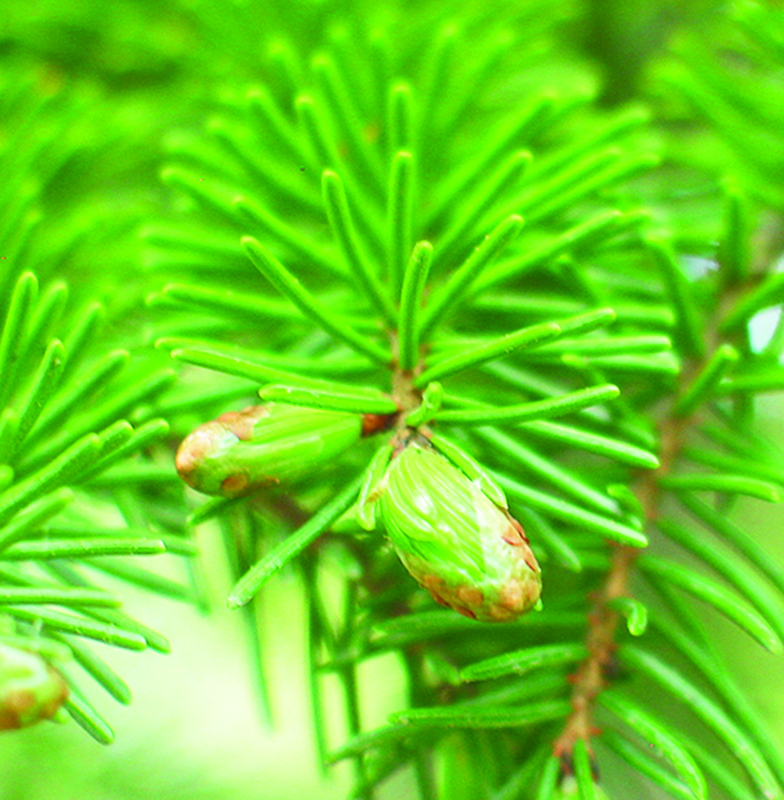 Thanks for all of your careful work!